2014, has come & gone, but what a year it was. 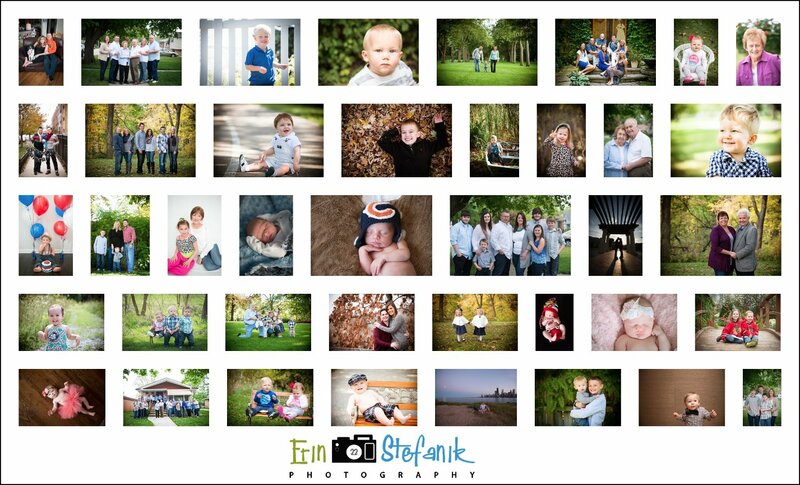 From 12 Weddings from the previous blog post, to 85 full family, baby, and children sessions, 10 Corporate sessions and 8 Full Grand Baby Sessions, that I get to see all year long and of course my favorite part, watching them grow. Working to make this year go even smoother and revamping a few things, but my goal for 2015 is to have all these numbers go up at least by 1 for next years blog post. 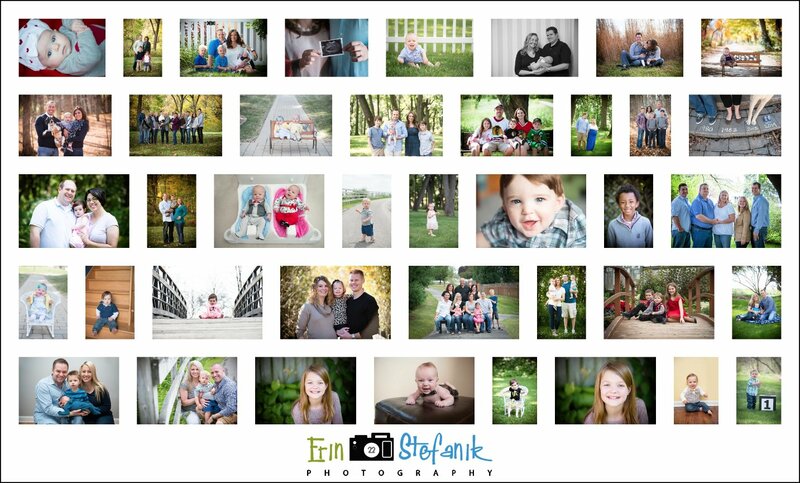 These photos are in no particular order, shuffled by complete random. 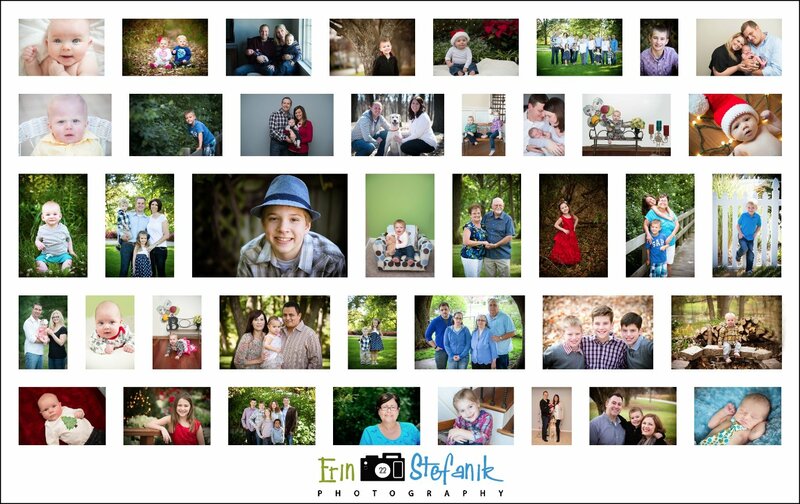 You may wonder why you see some families with a variety of photos, they may have wanted a few different sessions throughout the year, or they are apart of the Baby Grand Program. 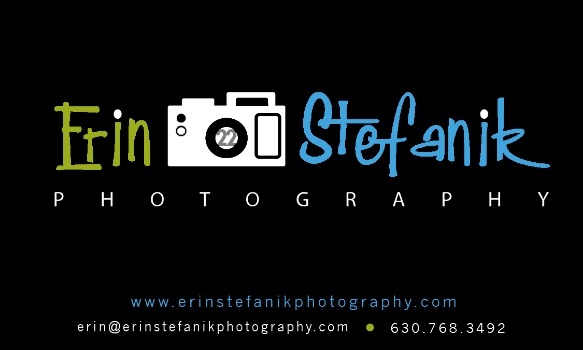 Ask for details if you aren't sure what that includes. 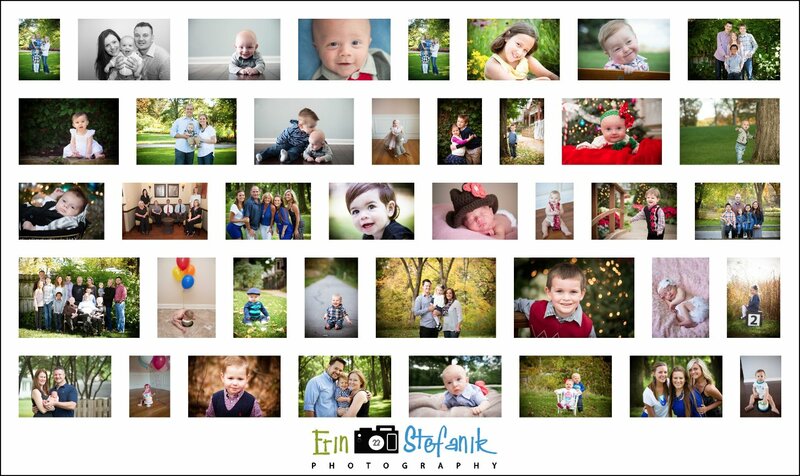 Sit back & enjoy Erin Stefanik Photography's Families!